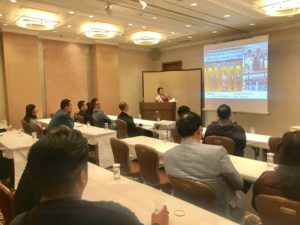 1 Asami Sudo, 2018 Miss SAKE, Miss Sayuri Tanaka, 2016 Miss SAKE, and Miss Masayo Horii, 2018 Miss SAKE runner-up, made speeches to the executive members of Envision Energy, one of the world’s largest wind turbine makers in China. 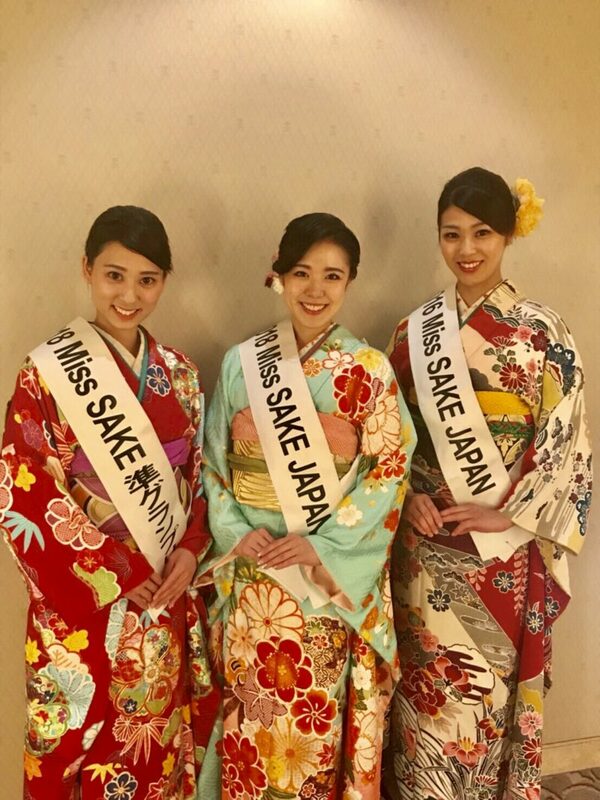 Asami Sudo, 2018 Miss SAKE, Miss Sayuri Tanaka, 2016 Miss SAKE, and Miss Masayo Horii, 2018 Miss SAKE runner-up, made speeches to the executive members of Envision Energy, one of the world’s largest wind turbine makers in China. 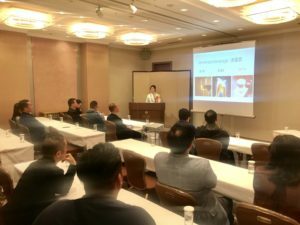 On April 13th, we were given an opportunity to make speeches on SAKE and the activities of Miss SAKE to the executive members of Envision Energy, one of the world’s largest wind turbine maker headquartered in Shanghai, China. Miss Sayuri Tanaka, 2016 Miss SAKE, Miss Masayo Horii, 2018 Miss SAKE runner-up and I joined the event. Envision Energy , founded in 2007, is the world’s tenth largest wind turbine maker in China. The company has expanding businesses in the field of solar energy, digital software and networking technologies as well, and built out businesses in Europe, Middle East, Africa, the U.S., Latin America and etc. This time, the executive members of Envision Energy visited Japan to have annual medical checkups, and as one of the recreations of the tour, we made presentations on Miss SAKE and Japanese sake, in which they’ve had great interest as Japanese traditional art of manufacturing. I made a speech on sake in general, and its history, culture and brewing process in English. Japanese sake culture has a lot of similarities with Chinese drinking culture, since we both belong to the East asian countries and eat rice as staple food. I talked about such a historical background as well as the recent situation of sake. Miss Masayo Horii made a presentation in Chinese on the mission and the activities of Miss SAKE. As well as joining various kinds of events in Japan, sometimes we have rice-planting and rice-reaping experience by ourselves and sometimes we join various events in foreign countries to convey the attractions of Japanese culture. 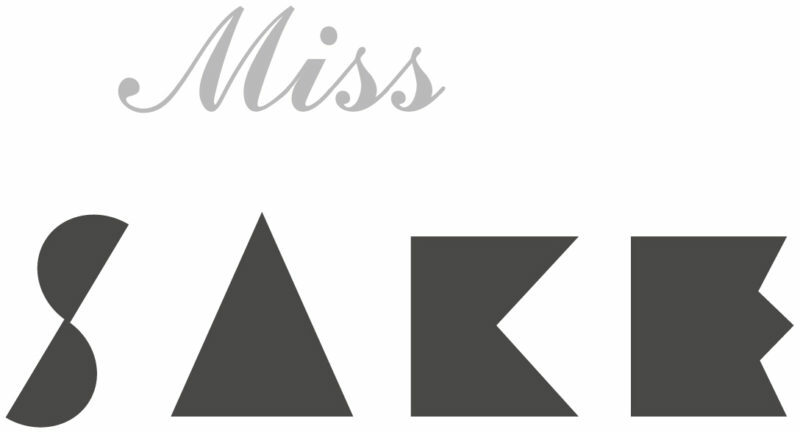 She explained such wide-ranging activities of Miss SAKE. It was a great honor for us to be given the opportunity to make presentations in their busy tour schedules and be given the words of praise. Also, their great interest in sake made me feel a large possibility of sake as a resource of tourism and a cultural asset. 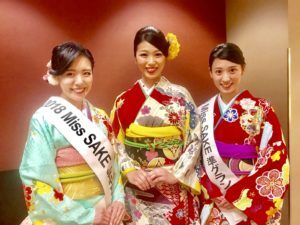 As 2018 Miss SAKEs, we’d like to continue to try our best to have more people enjoy sake as an attractive cultural experience. I’d like to express my appreciation for the great experience.